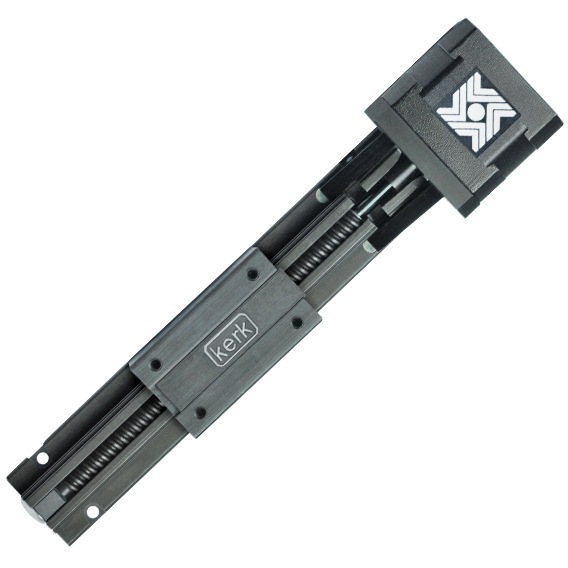 The Motorized RGS08 Linear Rail is available with size 23 hybrid stepper motor developing forces up to 222 N (50 lbs). Rails can also be customized in stroke length, one or dual carriage and coatings. Contact an Applications Engineer for any technical support needed. *Metric threads also available for carriage.